I’ve reinstalled it, and it’s the same thing popped up. Also, I always clear cache every time I exit the game. Another thing is I moved the game to Internal storage and it’s still the same… Lastly, my phone has over 6+ GB, that’s sure is enough to install “Epic” Thanks for replying. Sounds fair enough, Iam in! Does that mean Facebook removes closed accounts? The Angry Birds Facebook page ‘likes’ has been decreasing alot since 2016..
How did Mighty Red post the in-game screenshots when the game itself is unplayable because of bugs? 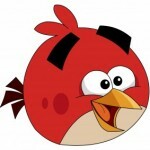 Does Angry Birds games (That is online type) uses alot of data? If it is, can anyone calculate the total of data usage when playing the game while connected to the internet.. Since the posters are posted here, there’s no need to play the game..